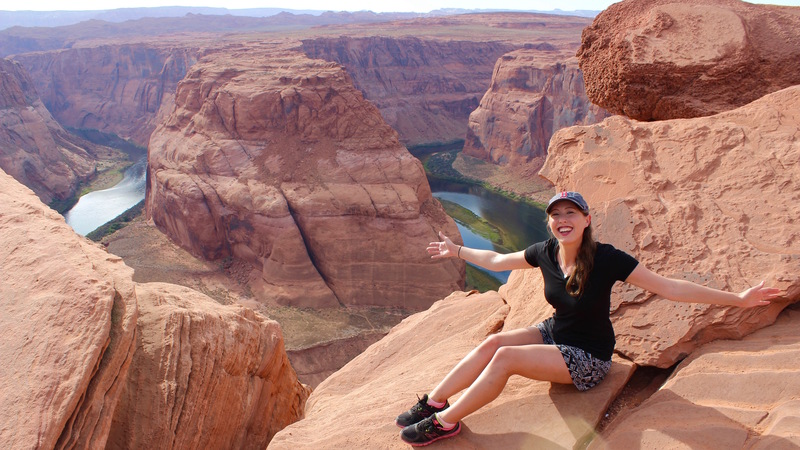 Last week, my husband, David, and I embarked on an epic 4-day road trip across Arizona and Utah. I daily vlogged the experience and will be sharing a break down of each day with you all so you can start making epic Arizona road trip plans of your own. 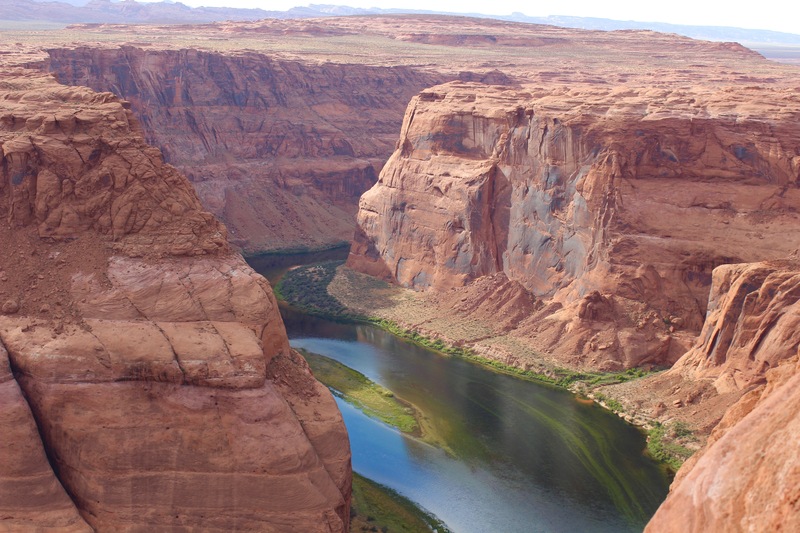 On day 2, we drove from Williams, Arizona to Page, Arizona where we would be staying the next 2 nights. The whole trek took around 2-3 hours and we couldn’t wait to see what Page had to offer! Once we arrived in Page, we stopped at Fiesta Mexicana for a quick, delicious lunch. 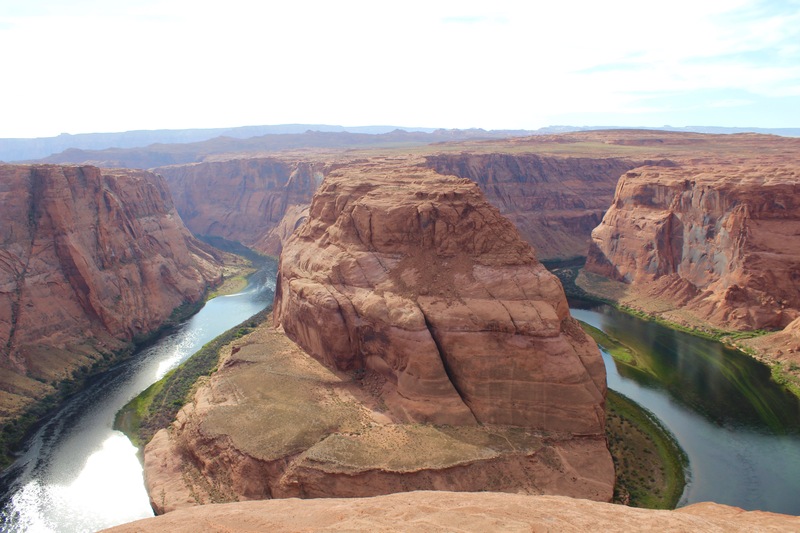 Then, we rushed over to Horseshoe Bend, which we’d both been looking forward to the whole trip. 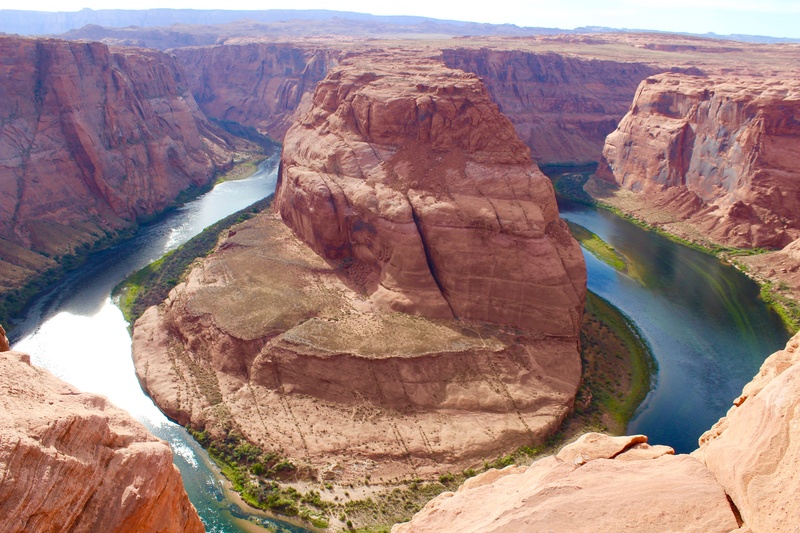 Horseshoe Bend, according to Wikipedia, is “a horseshoe-shaped meander of the Colorado River “. The first time I saw a picture of it, I knew I had to see it for myself. And it did not disappoint! In fact, I think it was my favorite site of the trip. We arrived at the parking lot of Horseshoe Bend at around 3:30 PM. Parking and viewing the bend was completely free. 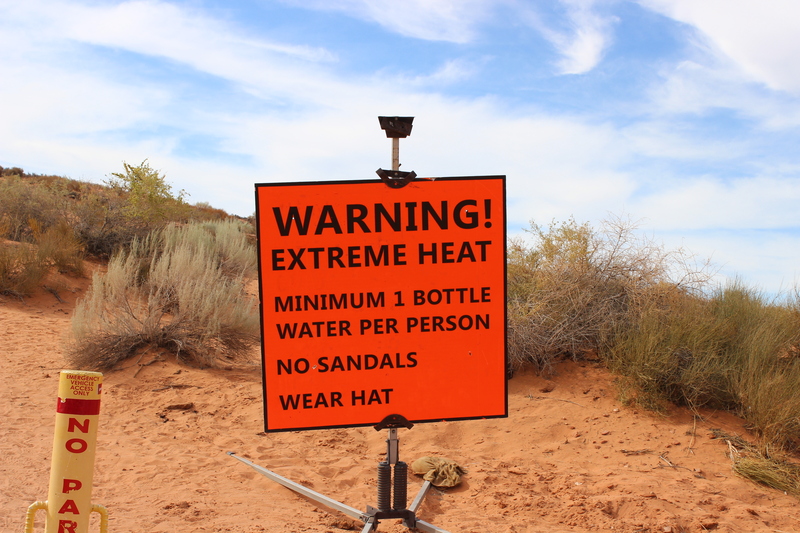 The parking lot was surrounded by signs saying “warning extreme heat” and “bring water”. We got the hint. The Bend is a 10-minute hike from the parking lot and it’s not until you’re a few feet from it that it suddenly appears and overwhelms you with its beauty (since it is a meander in the ground after all). It is by far one of the most beautiful natural landmarks I’ve ever seen! What really struck me about this place is the fact that they’re no fences or walls blocking the view. It’s just open to the public to enjoy. Anyone can get as close as they want to the cliff’s edge and it’s really the perfect situation for any photographer or videographer. That freedom to be with nature feels incredibly liberating. We sat there for hours just staring at it and embraced our inner daredevils by sitting and laying near the edge of the cliff just to feel its power. 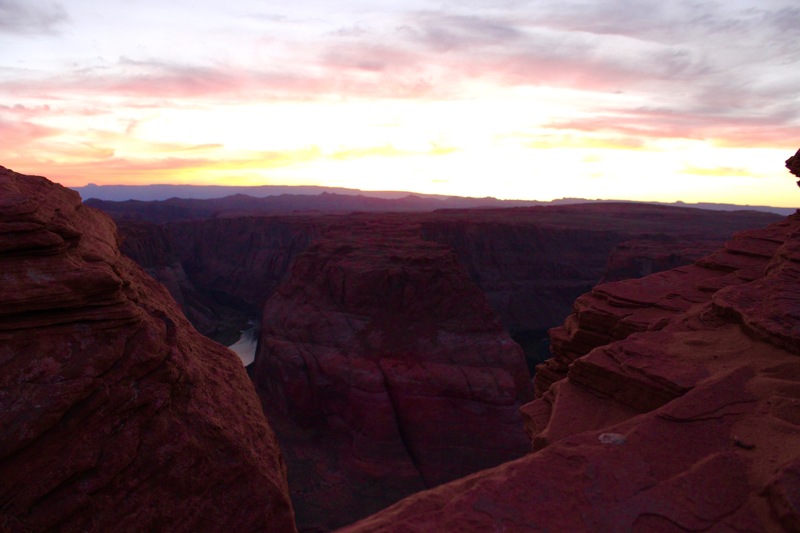 Luckily, Horseshoe Bend was only a 5-minute drive from our hotel because we rushed back later on in the evening to see the sunset as well. Bring water! The signs aren’t there just for fun. It is very hot out there! Go super early in the morning or after 3 PM to avoid the most extreme heat. Wear sneakers! The hike to the bend is 10 minutes and once you’re near the cliffs, you’re definitely going to want shoes with traction. A hat helps a lot at protecting from the heat as well. If you can, stay for sunset or come early for sunrise. 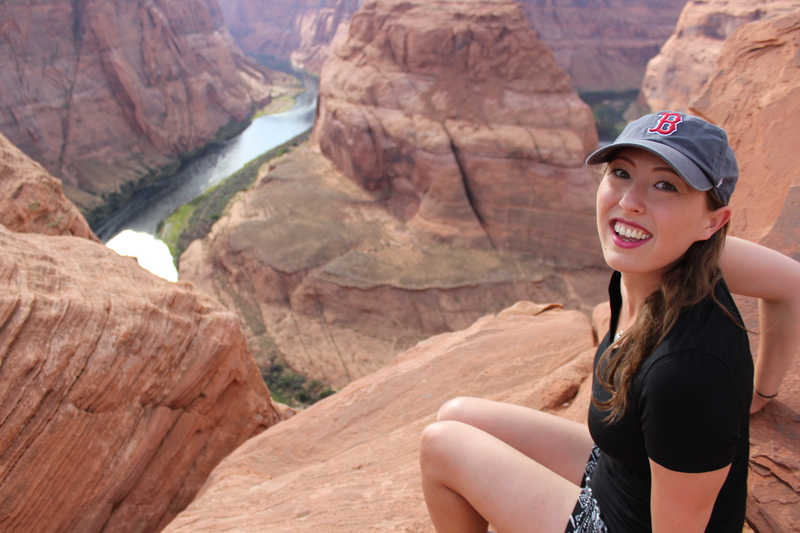 I was so thrilled to be able to see such a beautiful place and I hope you make the trip out to Page, Arizona to see it yourself!